With summer have officially begun for 2017, the Roth team is looking forward to weekends of sun, fresh air and warm weather. A comfortable, relaxing outdoor area is ideal during these summer months. In partnership with Temple and Webster, we have listed some of our must have pieces from the big ‘outdoor trends’ of summer 2017/2018. Fun and relaxed methods of sitting has made a comeback in recent years, and its stayed around for another season. An iconic example of this is the hammock. With bohemian elements a recent trend in the world of interior design, this cotton hammock with fringe is a great combination of tropical and boho. 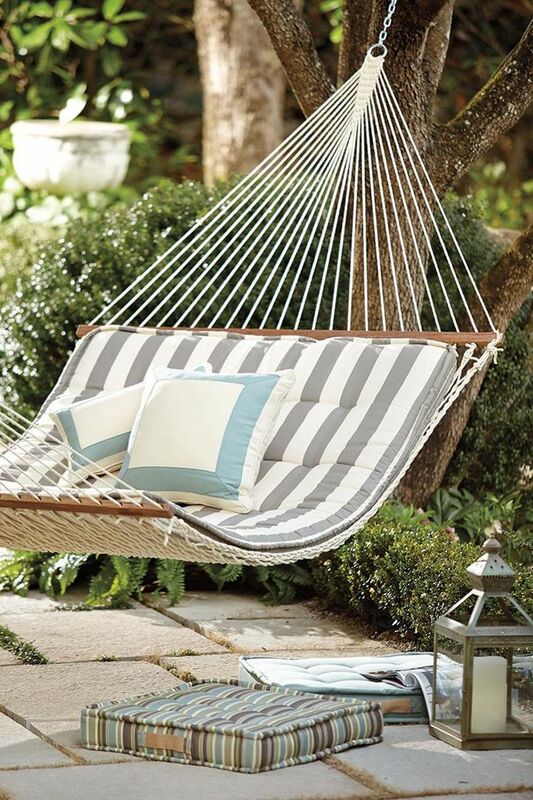 Spend your afternoons swinging away reading your favourite book in this extremely comfortable seating option. Another trend that has popped back on the radar is the mimicking of luxurious hotel pools in the suburban backyard. Recreating the simplistic elegance of a hotel in Beverly Hills takes a careful refinement. A surefire way of achieving this is through creating a classic and neutral lounging area around your pool or deck. This steel and teak sunlounger is the perfect piece to achieve that sleek and clean hotel vibe. By starting with a base like this it allows you to update your space through the trends. Add a fun printed pillow to add personal touches and further comfort. These are just two of the many trends of Summer 2017/2018. Temple and Webster have all your go to needs and wants to help update your outdoor area for the holiday period. For more information and tips on creating the perfect outdoor space, visit www.templeandwebster.com.au.